The Radio Frequency Identification (RFID) rule requires contractors to attach passive RFID tags to shipments, when appropriate. DFARS 211.275-2 requires contractors to utilize RFID tags for individual cases and palletized unit loads when they are shipping certain items to specific DoD locations. Proper Radio Frequency Identification Tag Placement for Government shipments. Vendors must use EPC global Class 1 Gen 2 compliant tags only after February 28, 2007. An interim DFARS rule amended DFARS 211.275-2 to include additional commodities and DoD locations that require package marking with passive RFID tags at the case and palletized unit load levels on May 19, 2006. The specific DoD locations have been expanded to include most Defense Distribution Depots (see DFARS 211.275-2 for a list of the Depots). DGPA 211.275-2 still applies and the coverage has been updated to reflect the revisions to DFARS 211.275-2. In addition, in order to connect the RFID tag data with its' corresponding shipment the contractor must submit electronic advance shipment notices (ASNs) to DoD through WAWF. The Clothing and Textiles Supply-Chain will submit Advanced Shipment Notification (ASN) data to Wide Area Workflow (WAWF) using the free, web-based application known as VIM-ASAP. Contact the VIM-ASAP help desk at 888-940-7348 to obtain a list of RFID label solution providers, who have developed point-of-ship systems that will interface with VIM-ASAP. Passive RFID requirements are contained in MIL-STD-129P change 4. Refer to Military Standard 129 and the DoD Suppliers' Passive RFID Information Guide for guidance on tag placement. The following statement clarifies procedures for the use of the CAGE code field in the DoD Tag Identity (both 64-bit and 96-bit). If a supplier chooses to have a third-party packaging house encode their tags, then it is acceptable for that third-party packaging house to encode its CAGE code instead of the supplier CAGE code on the tag. The third-party packaging house is responsible for ensuring the tag is readable and unique across any and all tags encoded by that third-party packaging house for any and all DoD suppliers. RFID does apply to simplified acquisitions. Therefore, FAR 13.5 "Testing Program for Certain Commercial Items" is also applicable to RFID procurements. RFID does not apply when "fast pay" is included in solicitations due to limitations in the Receipt and Acceptance electronic system of WAWF. The passive RFID clause requirements for suppliers can be found at DFARS 252.211-7006. You can view the clause at this link: http://www.acq.osd.mil/dpap/dars/dfars/html/current/252211.htm#252.211-7006. A few of the requirements for RFID compliance are frequently overlooked. The requirements listed below, as well as the others listed in the clause, must be satisfied in order for your shipments to be fully compliant with RFID. If you fail to meet any one of these requirements, your shipments may not be properly receipted at the DLA depot and your payment may be delayed. * For DLA direct shipments (shipments that are being shipped for stock to a DLA depot location), suppliers are required to create either a receiving report or a combo (receiving report plus invoice) in Wide Area Workflow (WAWF) in order to provide RFID data. Most DLA depots require RFID tags. See the clause for a complete listing of the locations. 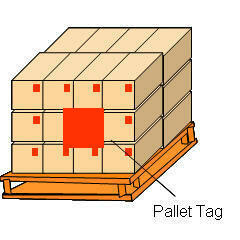 * The RFID tag numbers are required to be entered on the “Pack Tab” of the receiving report in WAWF. The depot will post acceptance of shipped items in the WAWF application. This requirement applies to DLA direct shipments regardless of the inspection/acceptance point. * The receiving report in WAWF serves as an advance shipment notice (ASN). Suppliers must submit the ASN electronically in WAWF IN ADVANCE OF the s hipment arriving at the depot in accordance with the procedures at http://www.acq.osd.mil/log/rfid/advance_shipment_ntc.htm. If the ASN is not submitted before your shipment arrives at the depot, the RFID tag cannot be read and you are in non-compliance. * Do shipments with a “V” in the ninth position (automated awards) require RFID tags? Yes, if the item is being shipped to a DLA depot. The RFID clause is not listed in full text on automated awards, but is incorporated by reference via the Master Solicitation. Additional information regarding RFID is available at http://www.dodrfid.org including a copy of the DoD Suppliers Passive RFID Guide. The WAWF online training site at http://www.wawftraining.com/ provides a complete module on entering RFID tags. If you have further questions, please contact the buyer or contract administrator listed on the solicitation or order.